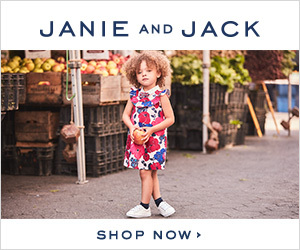 Here’s a GREAT way to save some money on your holiday shopping – through November 2nd, you can get 40% off everything, including markdowns, for savings up to 80% at Gymboree AND 40% off dressy styles and up to 60% off new markdowns at Crazy 8! Is it wrong that I’m almost 40 years old, and I practically jumped up and down when I discovered that the Very Hungry Caterpillar pajamas (and the giraffe ones too) are available in GROWN-UP SIZES?! (If it is wrong, then I don’t wanna be right!) Regularly priced at $42.95, the adult sizes are ALSO 40% off, so you can grab your own set for just $25.77! Sizes go from XS to 2XL. 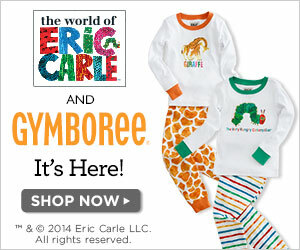 Check out some of my favorites from the Eric Carle collection! 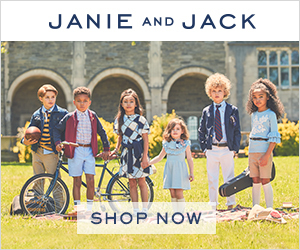 And if you love classically styled children's clothing, make sure you check out the new arrivals and Janie & Jack! 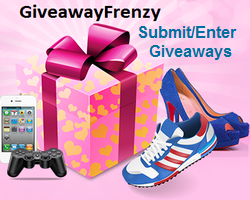 This entry was posted in 2014 Holiday Shopping Guide, Deals & Freebies and tagged Babies, Christmas, Clothing, Deals, Kids by Tara.Bookmark the permalink.